Unfortunately, appliance breakdowns can cost you more than just money. Down time from appliance problems can add stress and throw off your busy schedule. Mr. Appliance® of St. Clair / North Macomb understands that being without kitchen appliances or laundry equipment is a major inconvenience. When the cook top won’t heat or the washer leaks, you need expert appliance repair – fast! At Mr. Appliance of St. Clair / North Macomb, we can get your kitchen or laundry room back in business quickly. We are familiar with all brands and types of appliances, so you can trust that our technicians will be able to accommodate your needs. We also offer professional maintenance to prevent future appliance problems, so don’t wait to schedule your next service today: (810) 671-0542. Why choose Mr. Appliance of St. Clair / North Macomb? When you work with Mr. Appliance of St. Clair / North Macomb, you can benefit from upfront, flat-rate pricing—which means that you will only have to pay by the job and not by the hour. 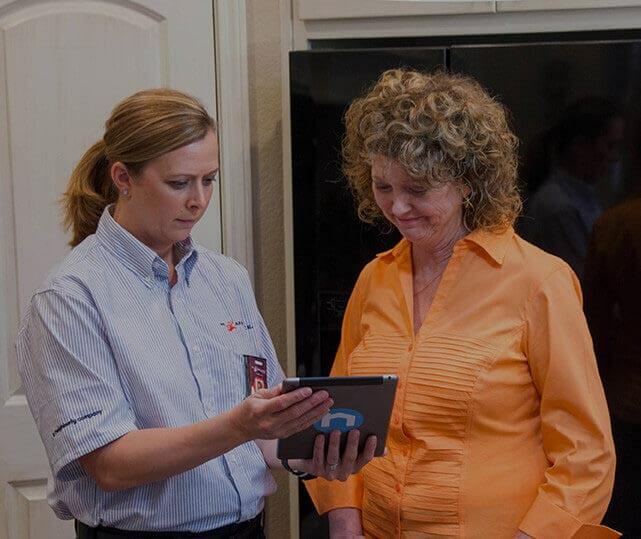 We will also provide an accurate price quote before we begin working on your appliance. Our repair technicians are able to work around your busy schedule, whether you need us to come in the morning, afternoon or evening, and they are committed to leaving your home in better condition than they found it. Our parts and workmanship are guaranteed! Call now at (810) 671-0542 to schedule a service.